When I was a 17-year-old boy then I had read in a book. If you live every day like this how this day is the last day of your life So you will be right on some day. This idea got enveloped in my mind and since then I got up in the mirror every morning and thought about it. If this was the last day of my life, would I do what I am going to do today? Whenever the answer was not for several consecutive days, then I understood that there is some need to change now. This expression of Steve Jobs has a lot of depth, if you listen carefully then it will fill new energy in you. and even more, energy is the story of his life. Steve Jobs was a person who had no love with his money nor his money was his identity. Thinking out of the leak and defining the technique in a new way was the specialty of his strong personality. He was born on 24 February 1955 in San Francisco. 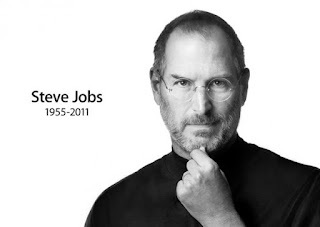 His full name was Steven Paul Jobs Who met them with adoptive parents Clara and Paul Jobs. Indeed, the financial condition of his real parents was very bad. and he did not want his child to live a life of a dysfunctional life. and that's why they handed Steve Jobs to a couple who looked after them well. His father, Paul Jobs, ran an electric workshop, so Steve Jobs spent most of his time helping him with his father. This was the atmosphere that Steve Jobs taught to make things new by adding things in the right way. And then gradually the electronic became their hobby. After reading 4 years in elementary school For some reason his father had to shift to another city Los Altos and here he was admitted to Homestead secondary School. Steve Jobs had broken a lot but he did not give up And they opened a company named Next and they made a lot of money from that company.